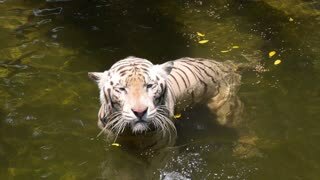 Search Results for "tiger water"
Cinemagraph of a tiger cub with water flowing in the background. 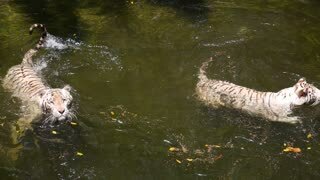 Tigers playing in water pool in captivity. The tiger is walking down the water. 1940s: Hand reaches into water and picks up tiger cowrie snail. Tiger walking poolside, then goes into the water. The tigers hunt for prey, leaping towards the victim in the water. Underwater view of Tiger Trout as the light shines over it in the water. Bull Shark with divers underwater on sand of Tiger Beach Bahamas. Dangerous predator Carcharhinus leucas in pure blue water of Atlantic Ocean. Big Bull Shark with divers underwater on sandy bottom of Tiger Beach Bahamas. Swimming with a predator Carcharhinus leucas in pure blue water of Atlantic Ocean. Diver feeds Hammerhead Shark underwater of Tiger Beach Bahamas. Extreme scuba diving. Swimming with a dangerous predator in pure blue water of Atlantic Ocean.